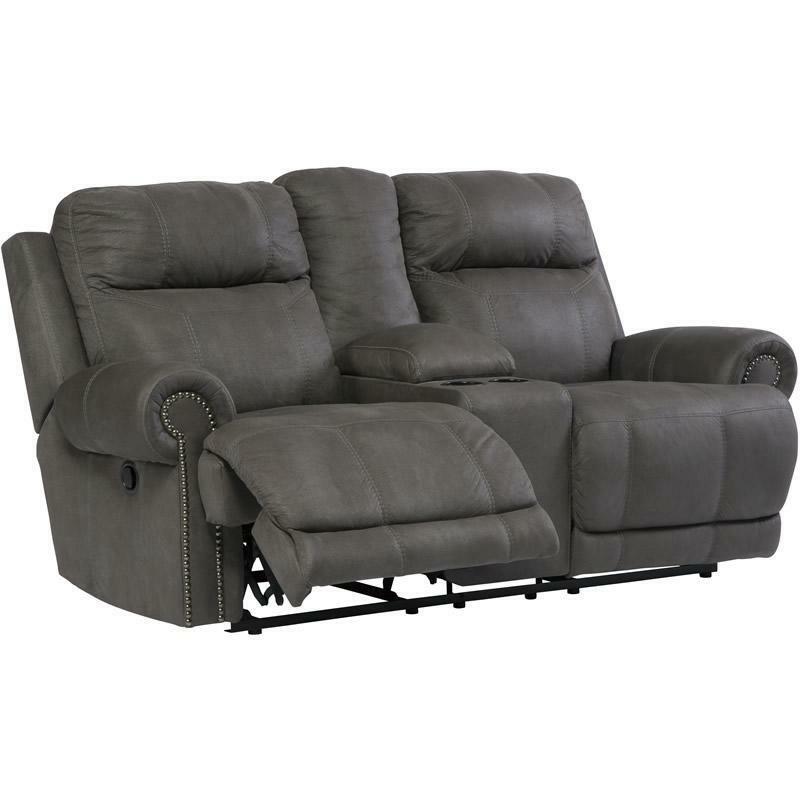 The Austere power reclining loveseat with console from Signature Design's lives up to its name—if we're talking sparing that "puffy" look you might expect from a recliner. 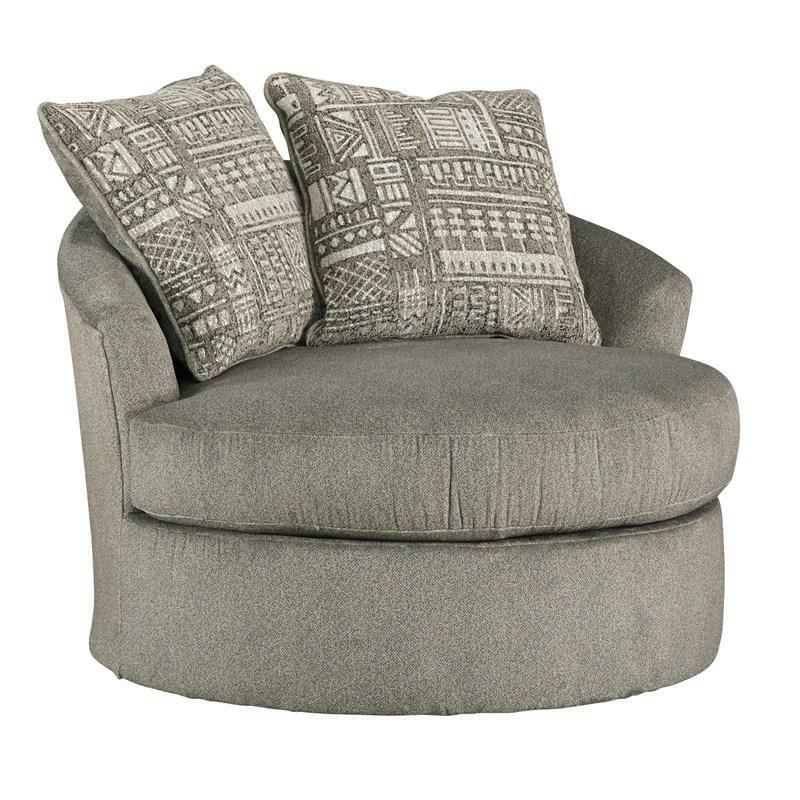 When it comes to contemporary style, it doesn't hold back. 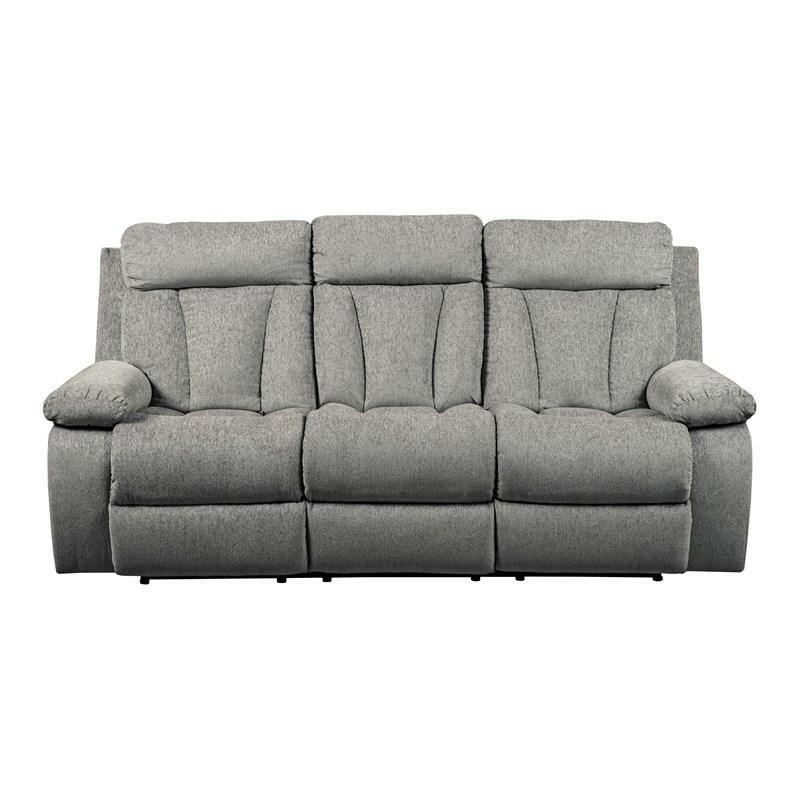 Subtle touches such as sporty jumbo stitching, nailhead trim and a "weather worn" effect on the upholstery provide a buttoned-up appeal and fresh feel. 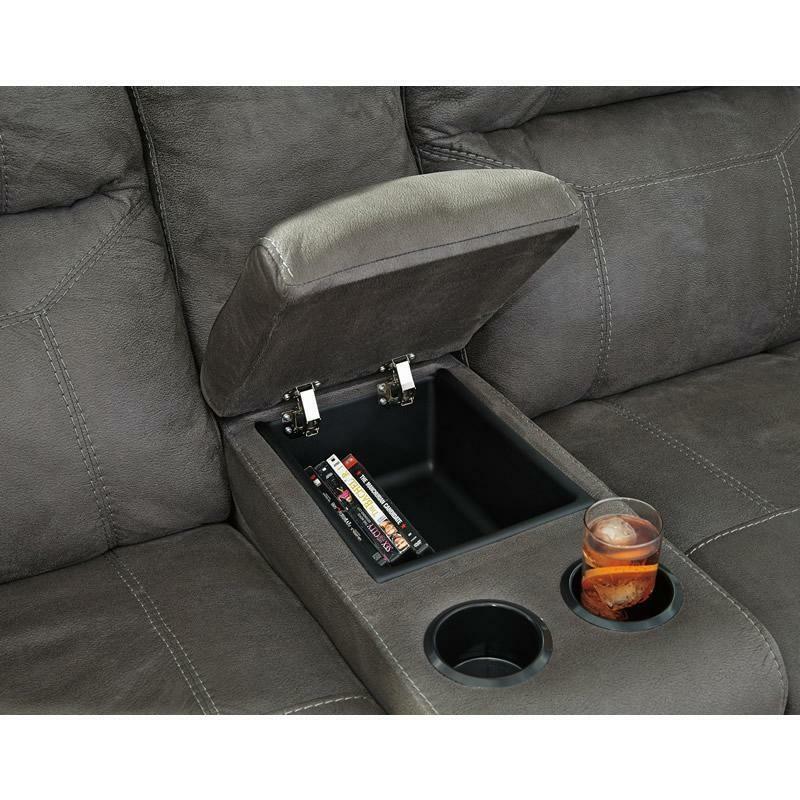 Center console with dual cup holders and the perk of one touch reclining put custom comfort at hand. 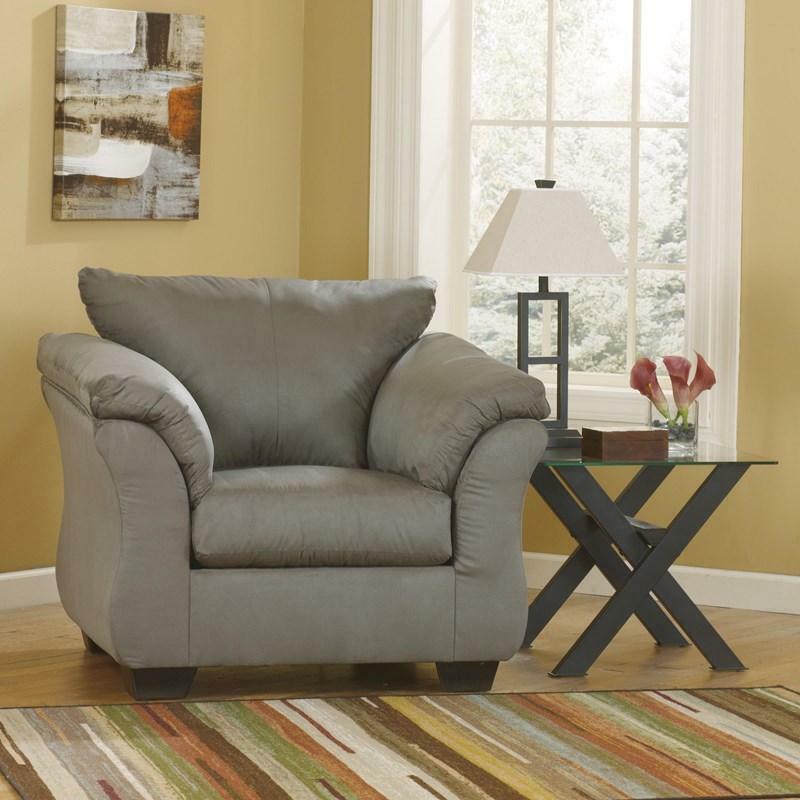 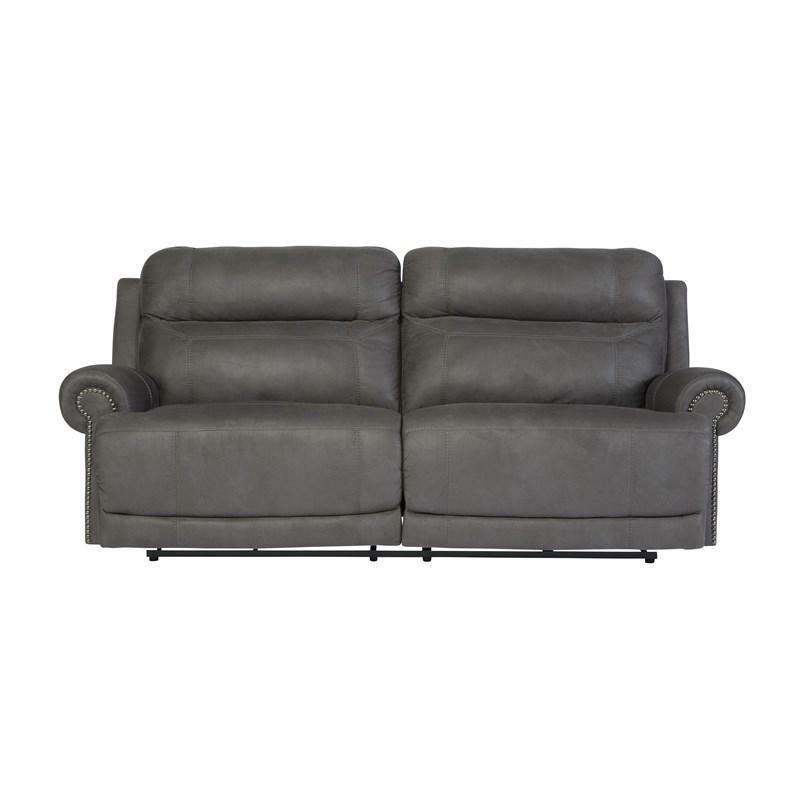 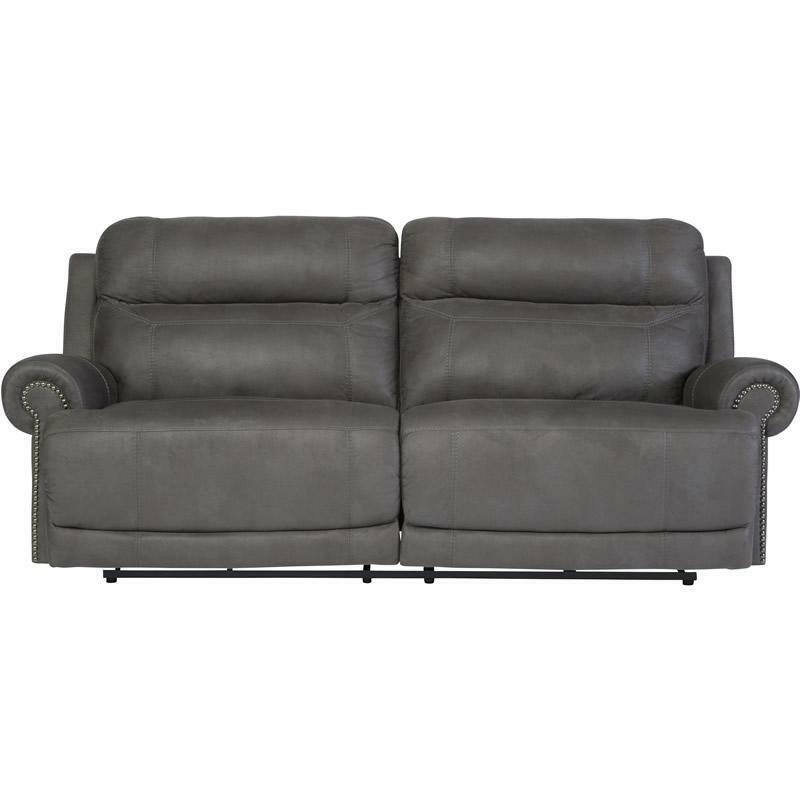 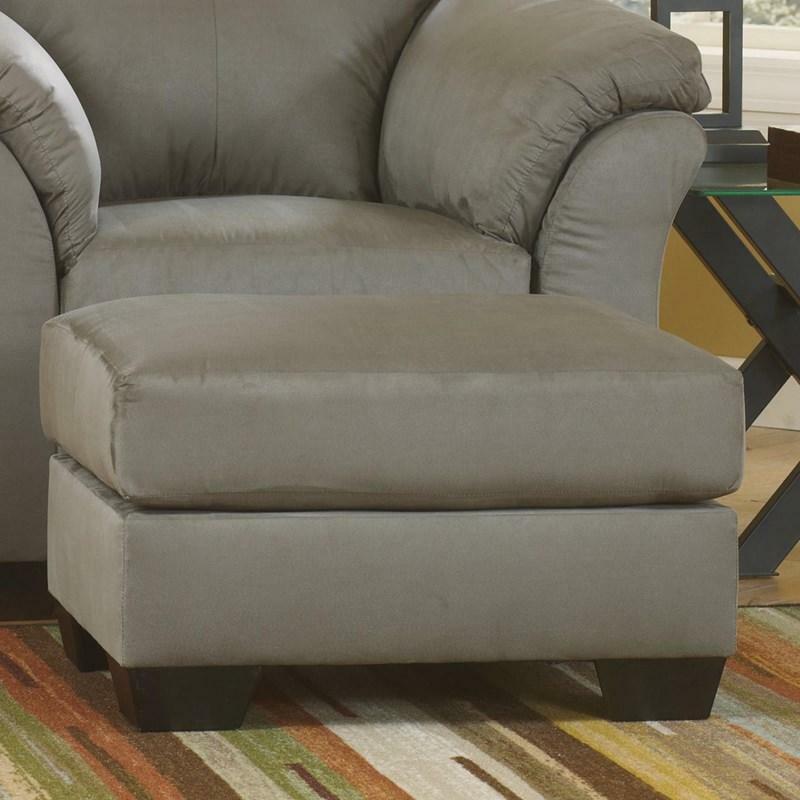 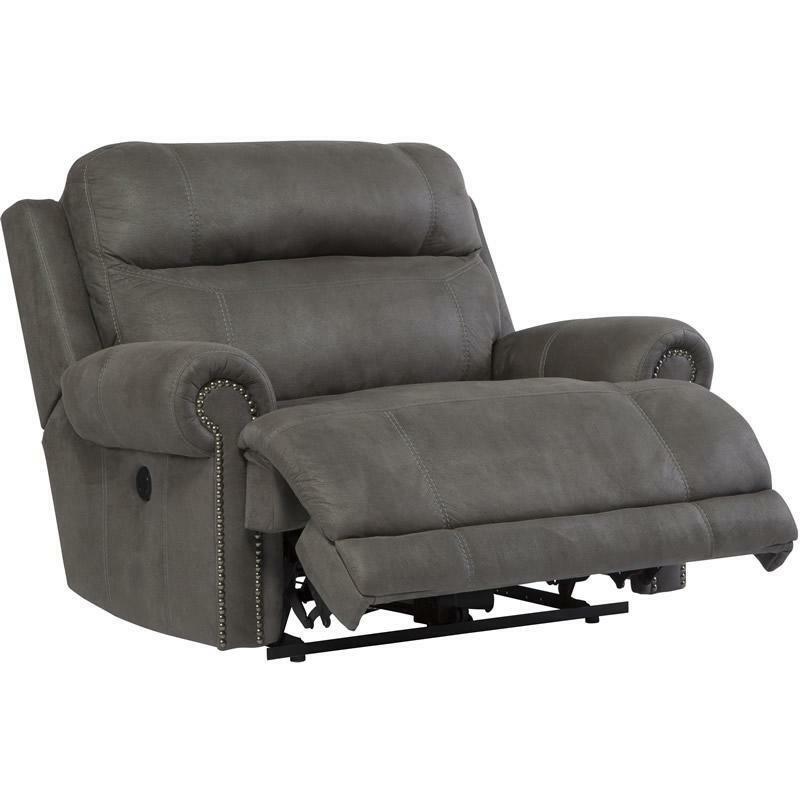 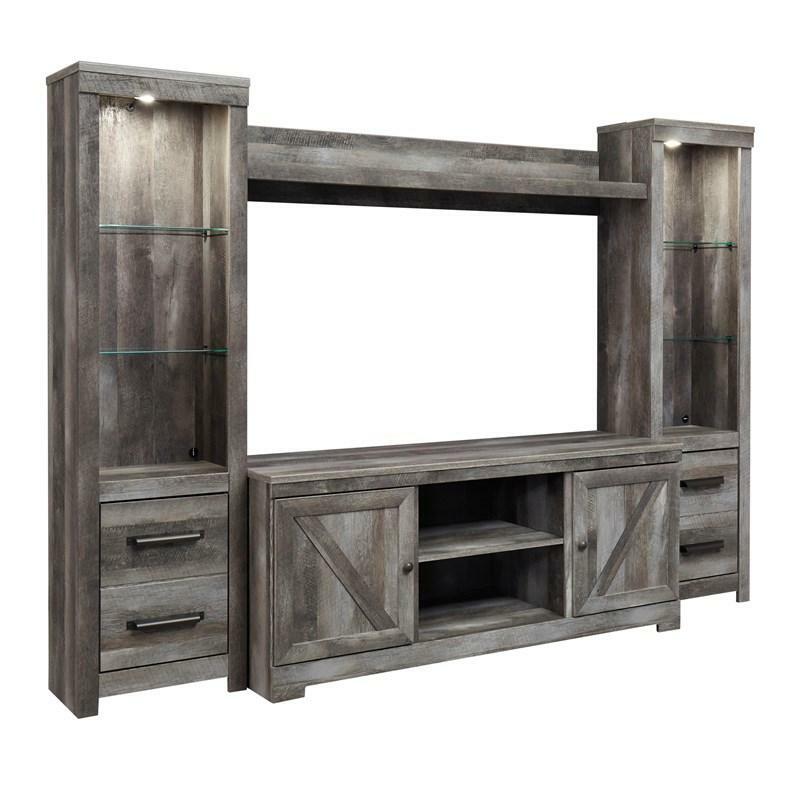 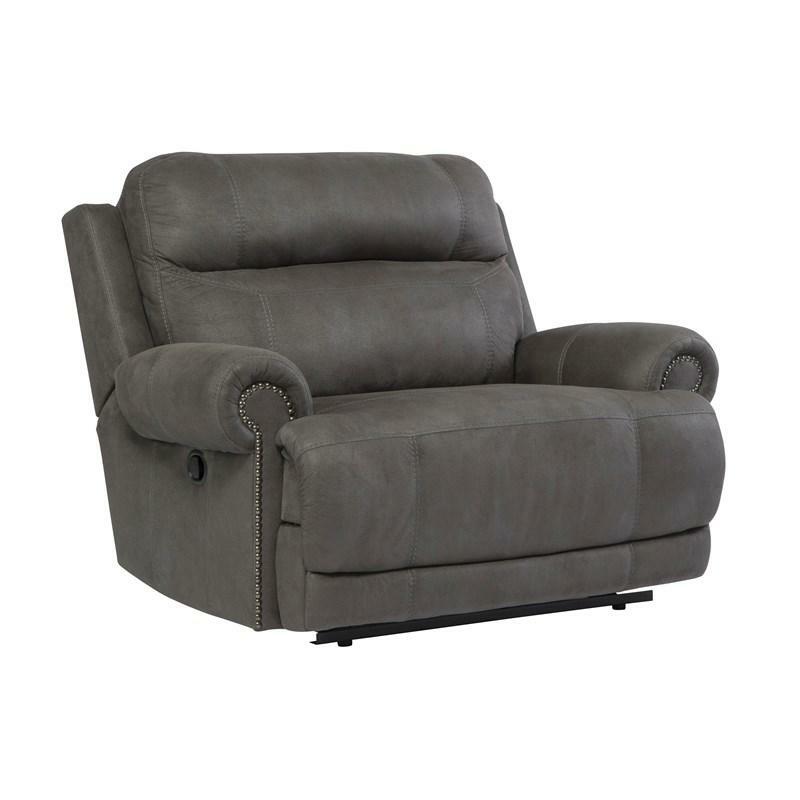 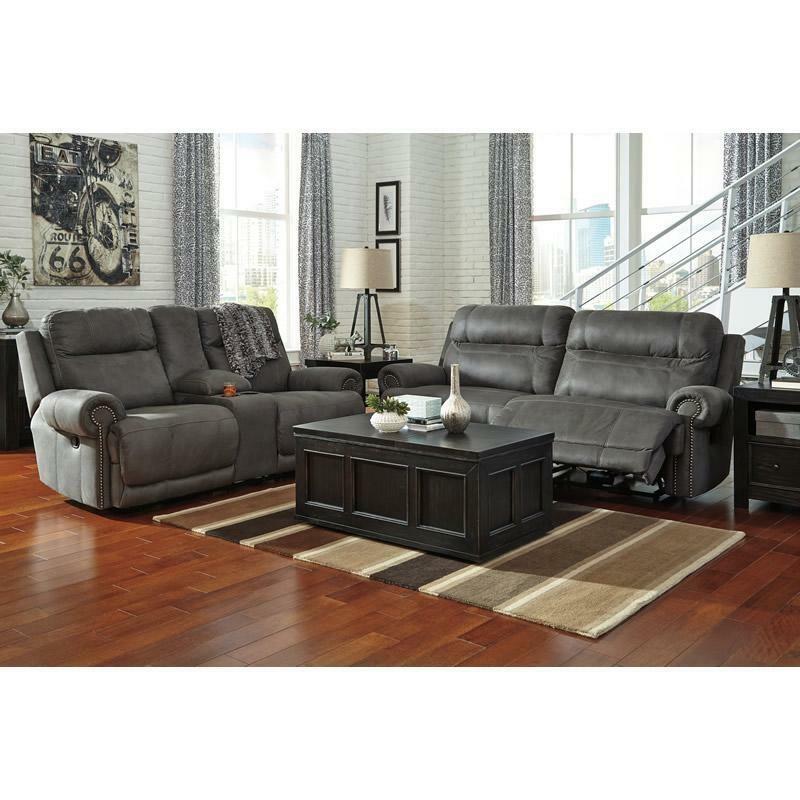 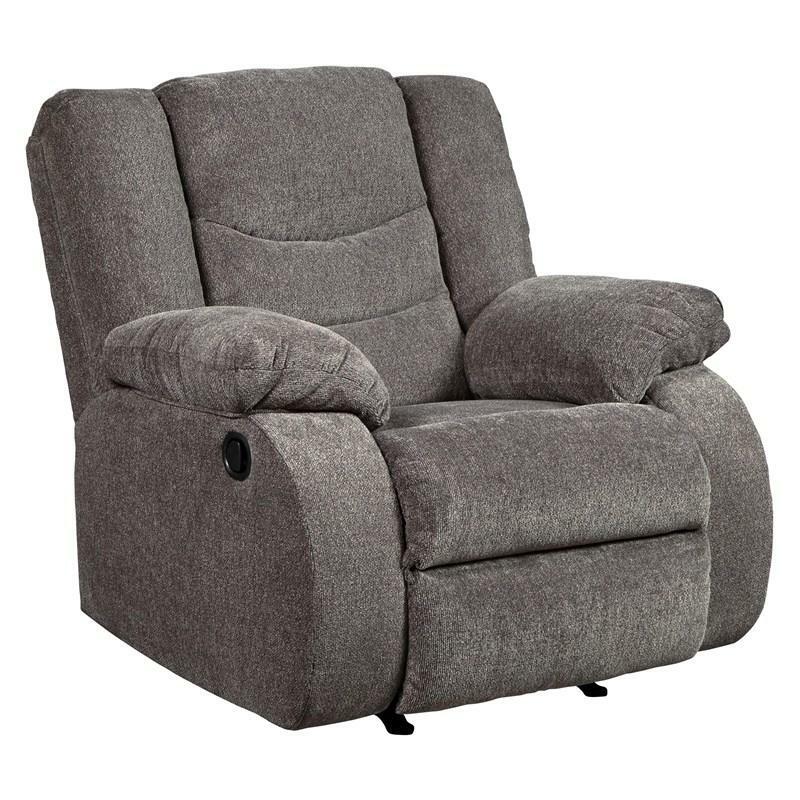 Additional Information The console features storage and 2 cup holders; Distance between recliner and wall 3.00"; Console storage dimensions 8.50" x 5.75" x 12.00"; Arm height 28.00"; Fully reclined length 69.00"; Distance between arm and console top 22.50"
Seat Seat depth 22.00"; Seat height 22.00"